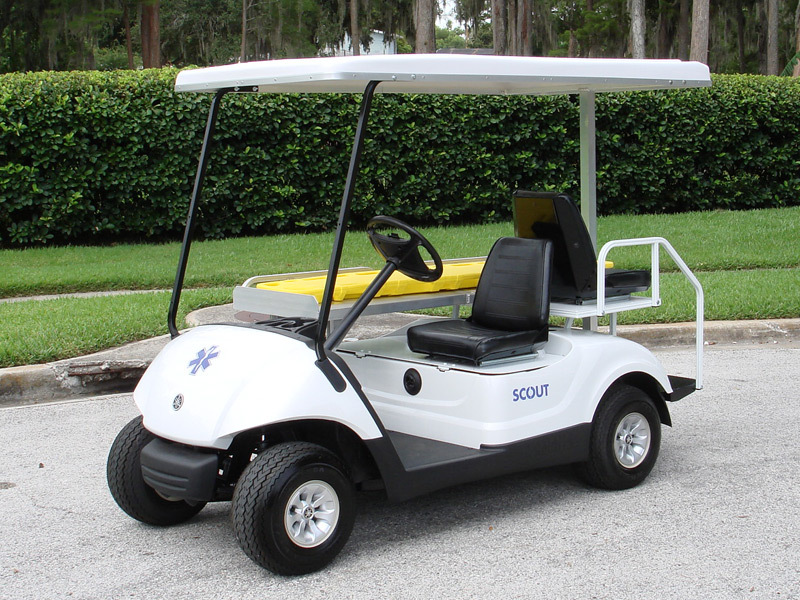 Scout Mini-Ambulance - Medical Golf Cart - EMT Golf Cart - Diversified Golf Cars, Inc. 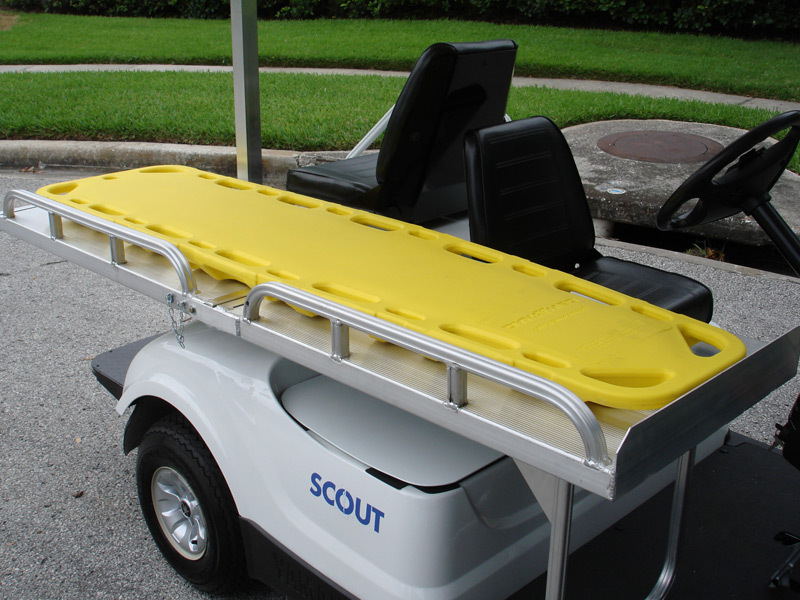 The Scout is our most economical mini-ambulance with the smallest footprint available making it easy to maneuver, store, and not to mention afford. Perfect for situations where emergency responders might not necessarily need to lug around heavy equipment and supplies yet still need to navigate small, tight areas. 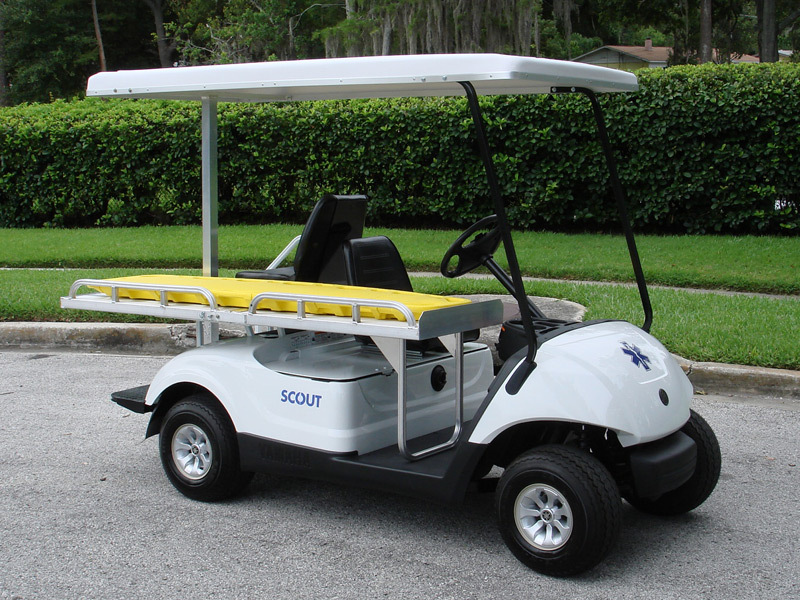 Add an optional lift-kit for off road situations or lighting and PA systems for navigating through large crowds. 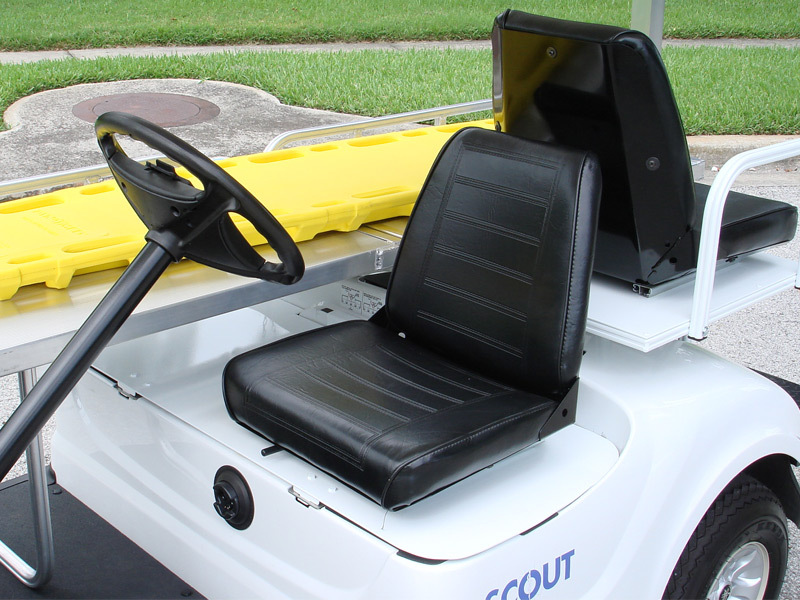 The Scout features seating for two - one driver and one rear facing attendant. 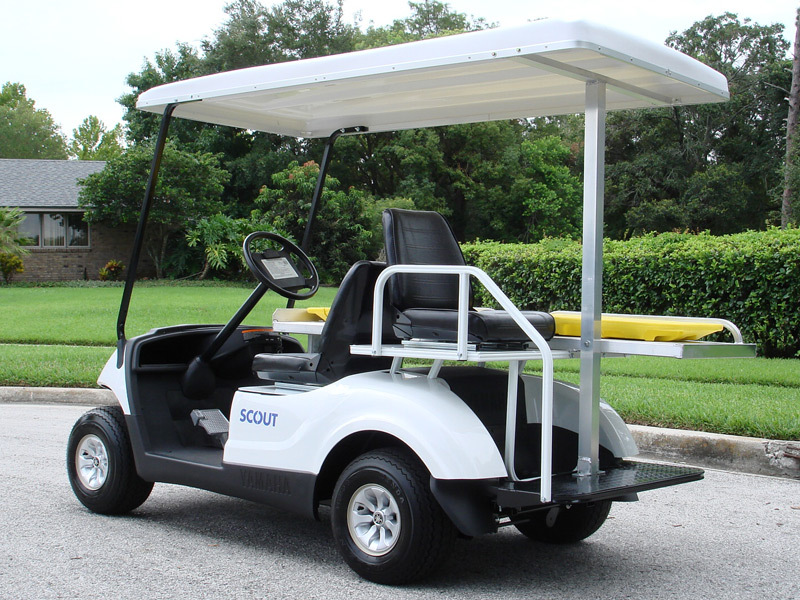 The all-aluminum deck mounted on the passenger side can handle a full-size spine board and flips up and out of the way for servicing and re-fueling. 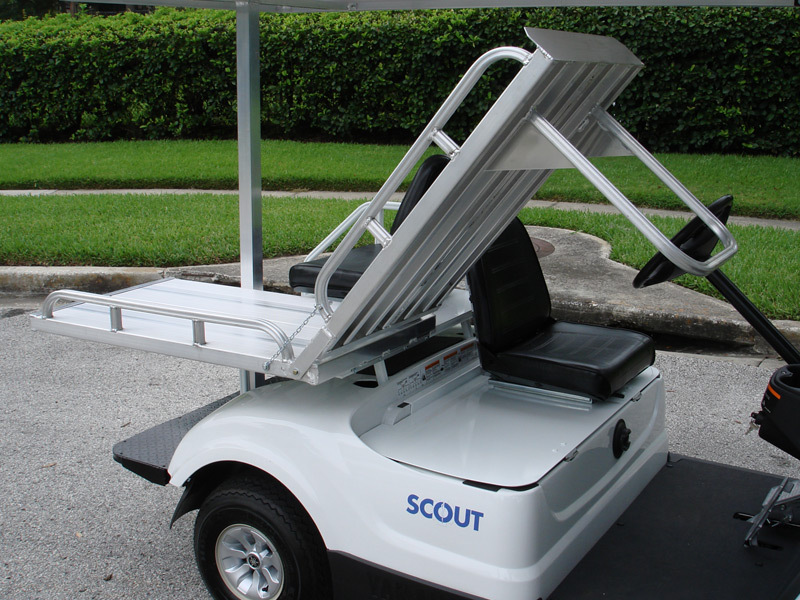 The Scout is available in both gas and electric power with a slew of optional features to make sure it can handle whatever you throw at it.